Ann Regan Bilbo Barlow, Esq. Ann Regan is a Mississippian in every sense of the word. She spent most of her (early) years in McComb, Mississippi, where she graduated from Parklane Academy, but she also experienced life on the Mississippi Gulf Coast and in God’s Country (Oxford, Mississippi) before settling into Jackson. Ann Regan attended the University of Mississippi, where she became a member of Kappa Delta Sorority, but finished her last year of undergraduate school at Mississippi College. Both Ole Miss and MC hold a very special place in her heart. During her first semester at MC, Ann Regan’s undeniable love for people sparked an idea for a department-wide psychology project. This small idea exploded into an annual event now hosted by Mississippi College- “Carnival on the Quad”- A day of excitement for everyone exceptional – benefiting special needs children and adults in the Jackson metro area. At MC, Ann Regan was a member of Psi Chi National Honor Society and was awarded the Senior Psychology Award for her dedication to the department of psychology, classroom performance and, most notably, her work as founder of Carnival on the Quad. After one short year at MC, Ann Regan graduated with a B.S. in Psychology and English Literature and was ready for the next step in her life: MC Law. 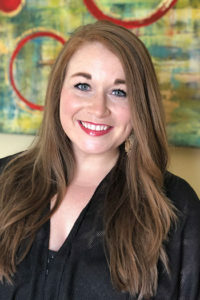 At MC Law, Ann Regan served as President of the Family Law Society, Events Chair of the Law Student Bar Association, and was a three-term LSBA Senator. She was also a charter member and secretary of the MC Law Student and Alumni Tennis Association, and an active member of Phi Alpha Delta legal fraternity. Under her leadership in the LSBA, many new philanthropy events were implemented for the student body, including “Friendsgiving” (Thanksgiving lunch) at The Little Light House of Central Mississippi, the “Courts for Kids” Tennis Tournament, and a sponsored MC Law team in the Five K for the Fatherless. During her last year at MC Law, Ann Regan was admitted to limited practice in the chancery courts of Mississippi through the Adoption Legal Clinic, where she completed 17 adoptions. She also served as a legal extern for the Honorable L. Joseph Lee, Chief Judge of the Mississippi Court of Appeals, where she gained invaluable insight into the appeals process of our great state. Ann Regan received the American Jurisprudence Award in both Mississippi Practice and Current Issues in Family Law, was a Dean’s List honor student and was awarded the Law Student Bar Association President’s Award for her outstanding leadership and dedication to MC Law. Additionally, she participated in the law school’s study abroad program, where she studied International Human Rights in Merida, Mexico. Ann Regan is a member of Bellwether United Methodist Church, where she is actively involved and teaches Sunday school to 4th and 5th graders. She is a member of the Mississippi Bar Association, the Rankin County Bar Association, the Capital Area Bar Association, and is a certified Guardian ad Litem. When she isn’t prepping for trial or planning an event, you can likely find her spending time with her husband and daughter, cheering for her beloved Rebels at an Ole Miss game, or showing her competitive side on a tennis court – a hobby of hers since she was eight years old.